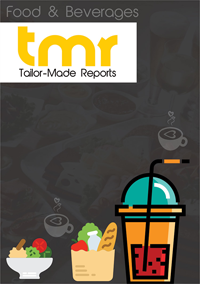 Rising demand for food fortification along with increasingly popularity of fortified custom premixes worldwide is a key factor behind the growth of food premix market. In the recent past, demand for food fortification has increased due to high incidence of micronutrient deficiency disorders globally, and insufficient micronutrients in food are related to severe forms of malnutrition. Wheat, flour, sugar, maize, and vegetable oils are some foods that are commonly fortified with vitamins and minerals for health reasons. Demand for nutrient premixes for infant foods is also on the rise, which is a strong growth driver of food premix market. Rising demand for nutritionally fortified infant formula and baby foods is likely to positively impact the food premix market in the future. Fortification of infant formula involves adding iron and vitamin D for babies that are not breastfed. Docosahexaenoic acid and arachidonic acid are some other ingredients added to infant formula along with iron and vitamins. High incidence of iron deficiency among preschoolers and school-going children that leads to anemia which needs to be corrected using fortified food. Point-of-use food fortification with micronutrient powders is usually recommended for pediatric anemia. Food premix is mainly available in two forms – powder and liquid. Of the two, powdered premixes find higher demand. Some of the key food premix ingredients are vitamins, amino acids, minerals, nucleotides, and others (botanicals). Vitamins find maximum applications over other food premix ingredients. Key applications of food premix include baby food, dietary supplements, food & beverages, pharma OTC drugs, and nutritional improvement programs. Food premix are consumed to serve to boost physiological and anatomical functions such as bone health, weight management, immunity, vision health, digestion, heart health, brain health, energy, and others. With respect to numerous factors, the global food premix market has been thoroughly covered in the report. Several factors such as drivers, restraints, leading players, geographical outlook, latest trends and opportunities, and properly described in the report. Prime market dynamics associated with trends are also included in the report. Numerous businesses are implementing new technologies that promise to make better food products with enhanced quality, thus being highly palatable to consume. These technologies are also expected to make foods easily available, thus bringing forth streamlining demand and supply processes. These factors are highly driving the global future of food premix market. Changing lifestyles along with a rise in disposable incomes is leading towards people to try out foods with different tastes, thus boosting the need for associated services. A rising awareness amongst people to healthy foods has also been responsible for being beneficial to the future of food services industry from a global perspective. With long working hours depicting an increase in recent times, many people prefer food products that can be easily prepared. This is quite possible by using a variety of food mixes, thereby propelling the global food premix market. Region-wise, the industry is mainly spread across North America, Europe, Asia Pacific, the Middle East and Africa, and Latin America. Owing to a plethora of food premix products manufactured by leading players in countries such as U.S. and Canada from North America, this region depicts maximum revenue generated in the market. Presence of a highly cosmopolitan culture among the youth is also responsible for them preferring foods that can be quickly prepared, thereby boosting the market’s growth. A significantly large number of high value-based transactions for food products has also been responsible for a fantastic performance showcased by this region. Apart from North America, other regions such as Europe and Asia Pacific are expected to depict a splendid performance in forthcoming years in the food premix market from a global perspective. The vendor landscape of the global future of food premix market is highly fragmented owing to the presence of innumerable small- as well as large-scale players. The market is highly heterogeneous in terms of its existence, owing to various parameters that imbibe a sense of dynamism in the competitive landscape. Most companies in this market are implementing prime strategies in the form of enhancing customer loyalty, bring forth product distribution, and regulating food premix product prices. Farbest Brnads, Archer Daniels Midland Company, Prinova Group LLC., Glanbia plc., Prinova Group, Koninklijke DSM No.V., Jubiliant Life Sciences, Fenchem, B&H Biotechnology Co. Ltd., Hexagon Nutrition Pvt. Ltd., Lycored, Barentz, WATSON-INC, SternVitamin GmbH Co., Lycored, are key players operating in the global food premix market.